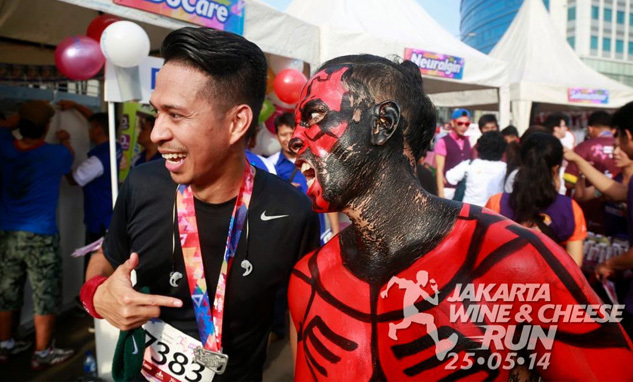 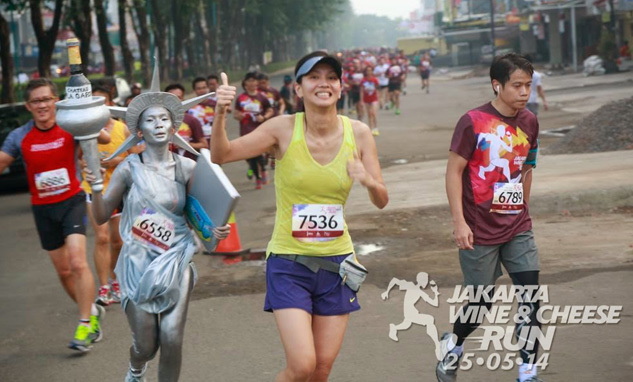 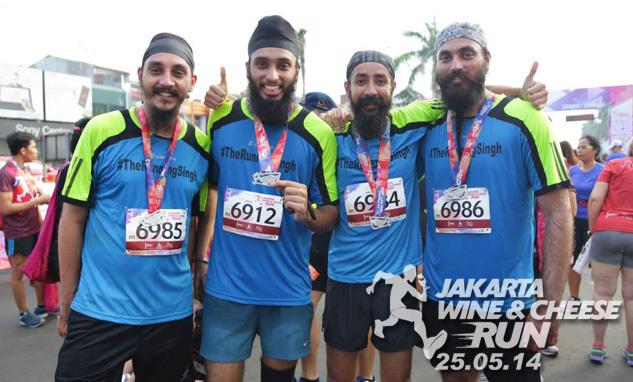 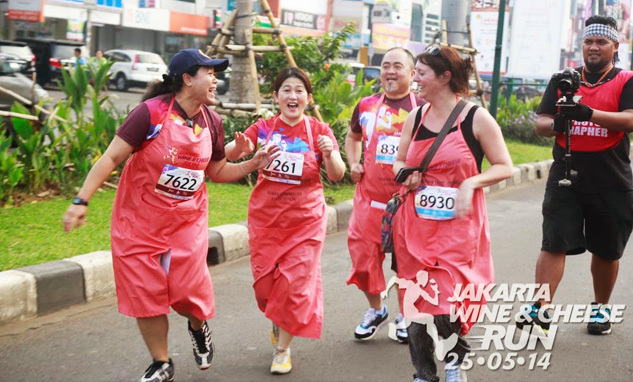 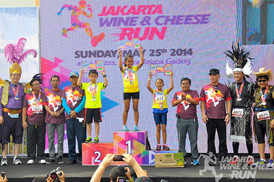 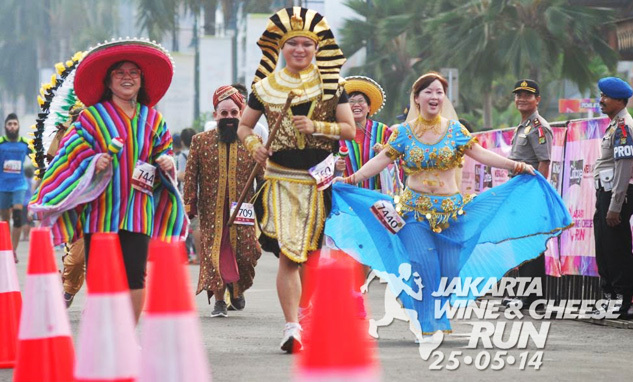 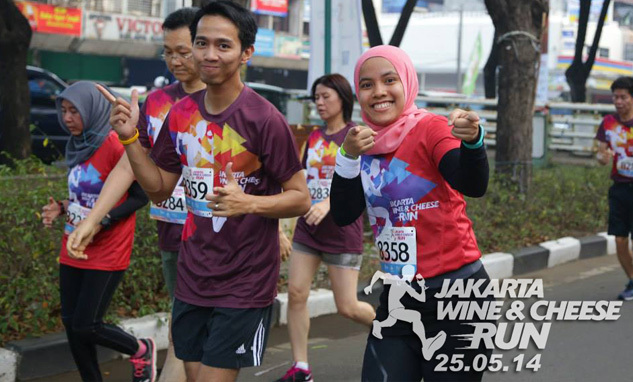 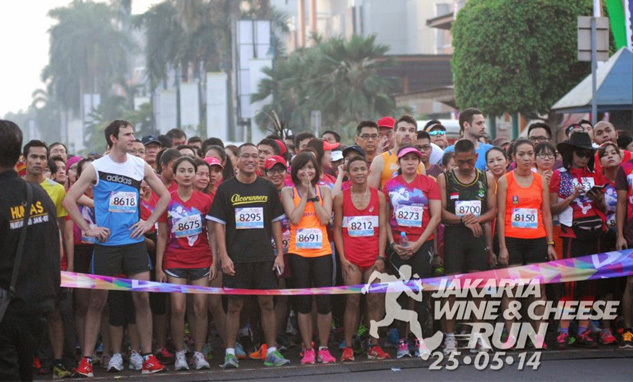 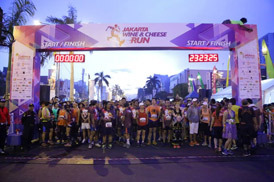 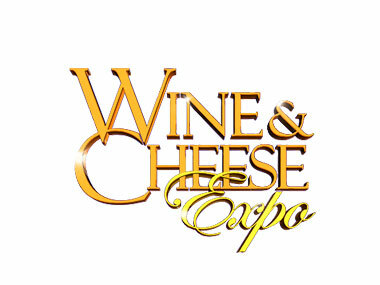 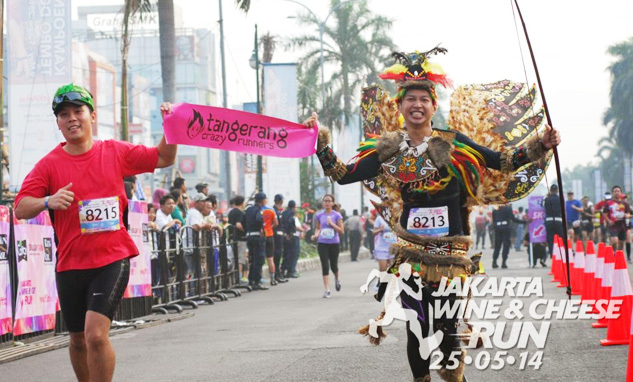 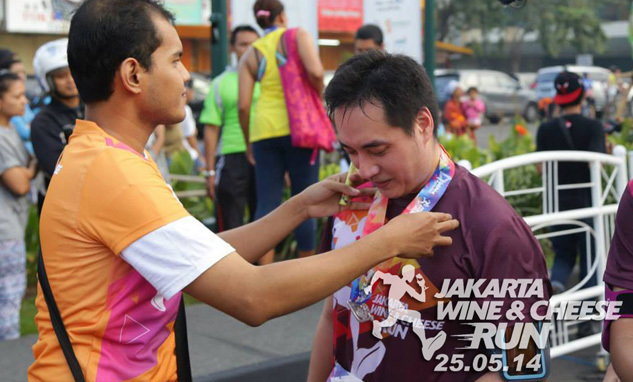 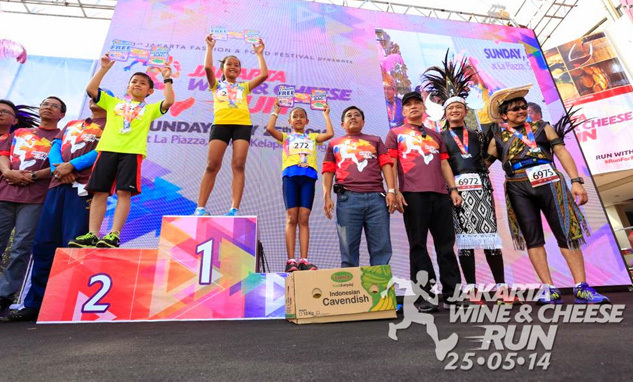 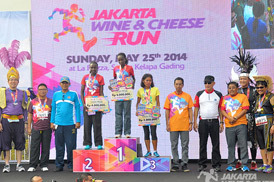 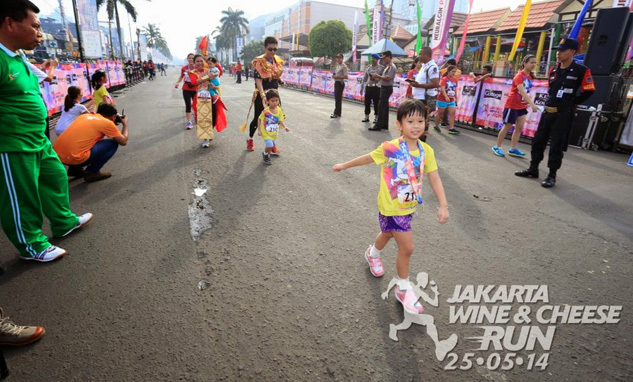 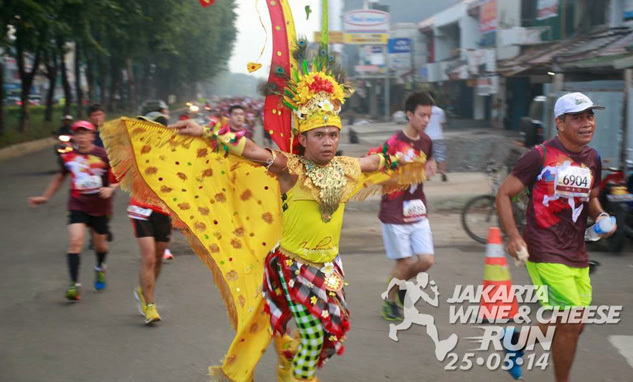 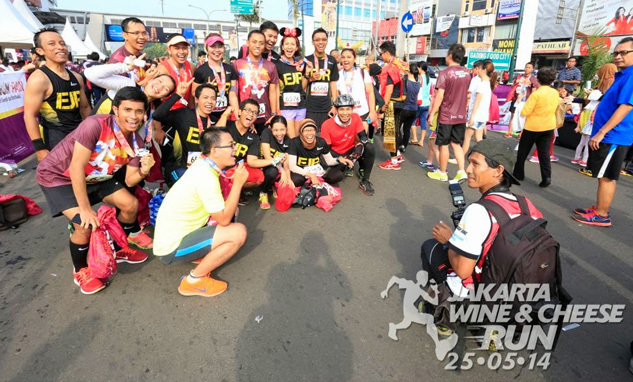 Jakarta Wine & Cheese Run at Kelapa Gading, Wine & Cheese Expo now is back in its second time with the prestigious event, Jakarta Wine & Cheese Run 2014 (JWCR). 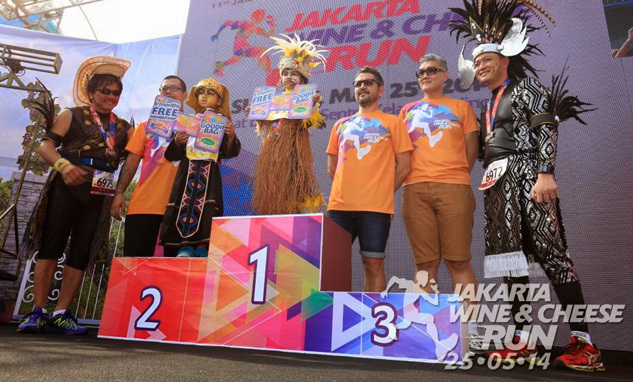 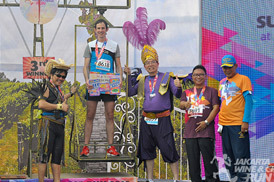 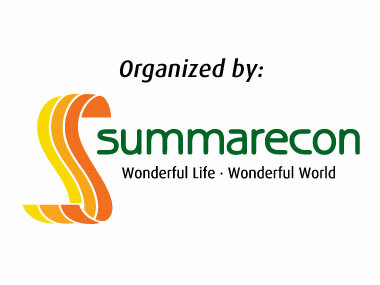 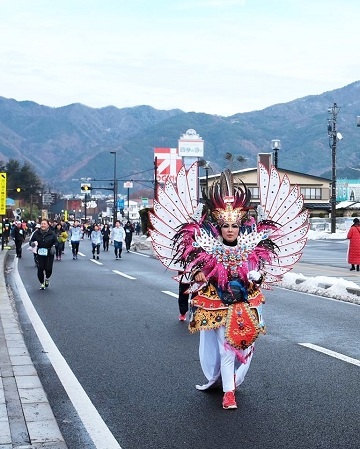 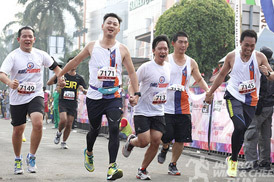 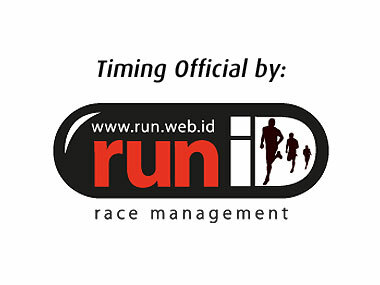 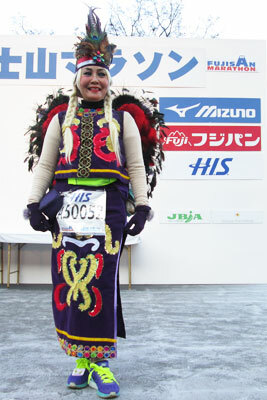 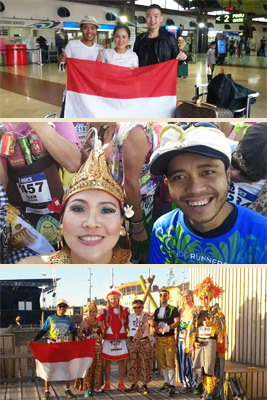 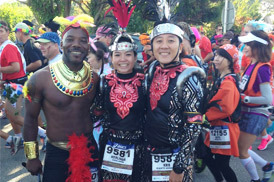 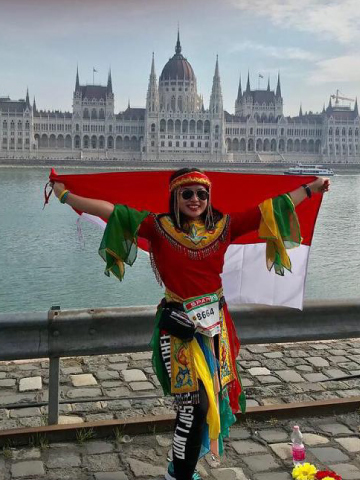 This event is involving runners from various countries, including countries in Asia-Pacific. 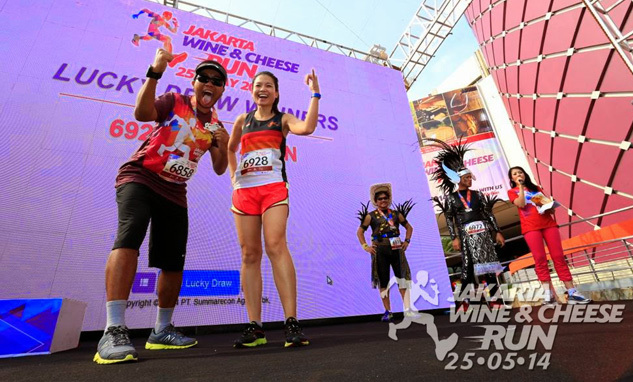 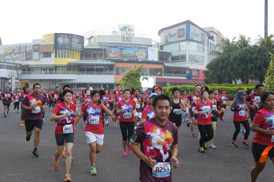 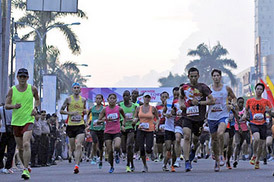 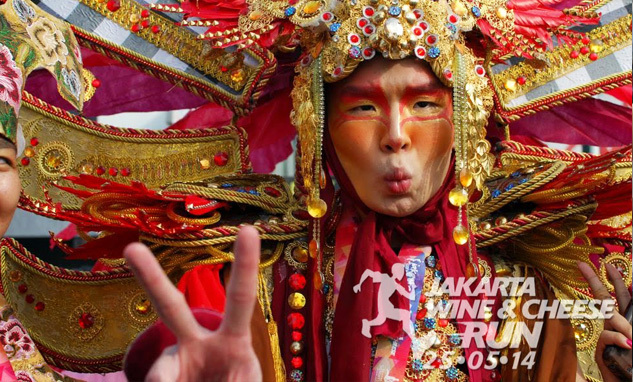 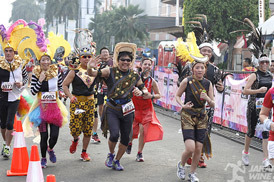 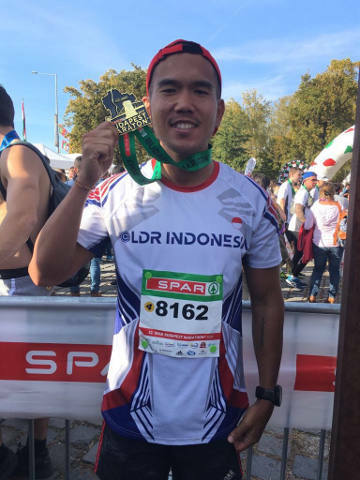 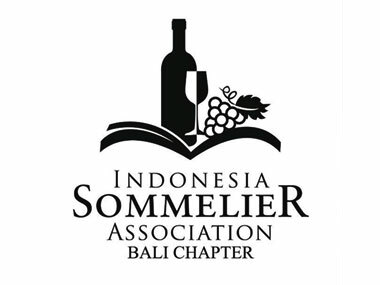 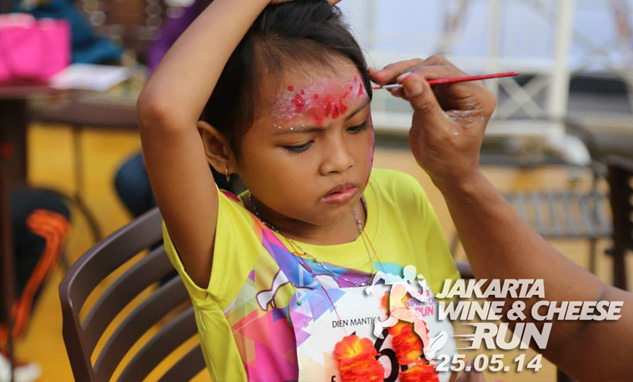 JWCR itself is a one of events in Wine & Cheese Expo which is also part of the annual grand event: Jakarta Fashion & Food Festival (JFFF).By running around Kelapa Gading's green environment, JWCR is one of the biggest race event in Jakarta. 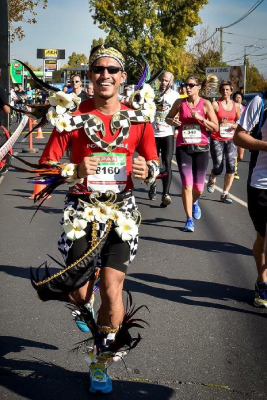 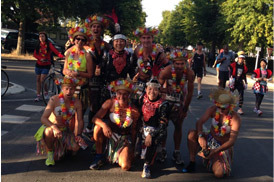 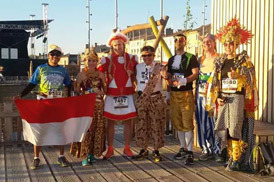 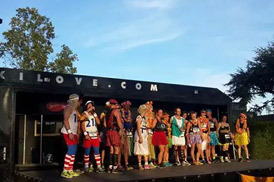 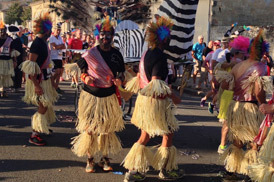 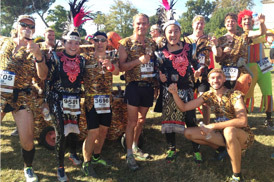 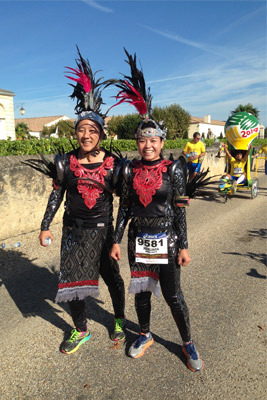 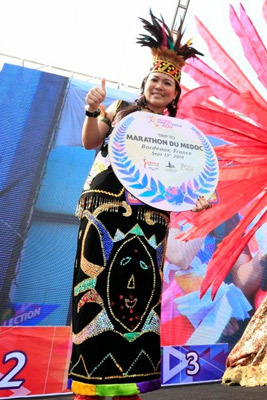 JWCR is unique because it adopts "Marathon du Medoc" where the runners are free to wear their favorite costumes, making it interesting and enticing. 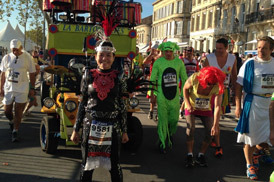 This time in 2014, the winners will be attend Marathon du Medoc-Bordeaux. 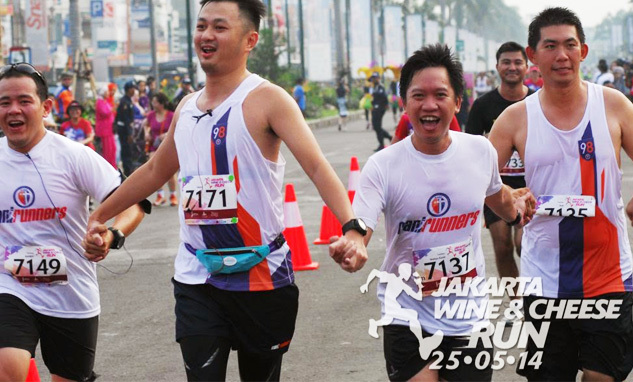 Come, let's run together! 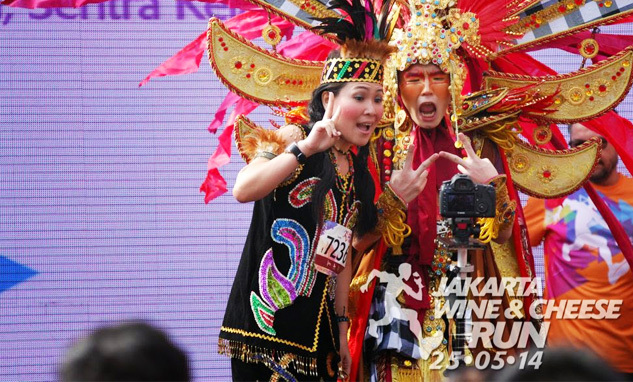 Wear your most eye-catching costume & win awesome prizes.